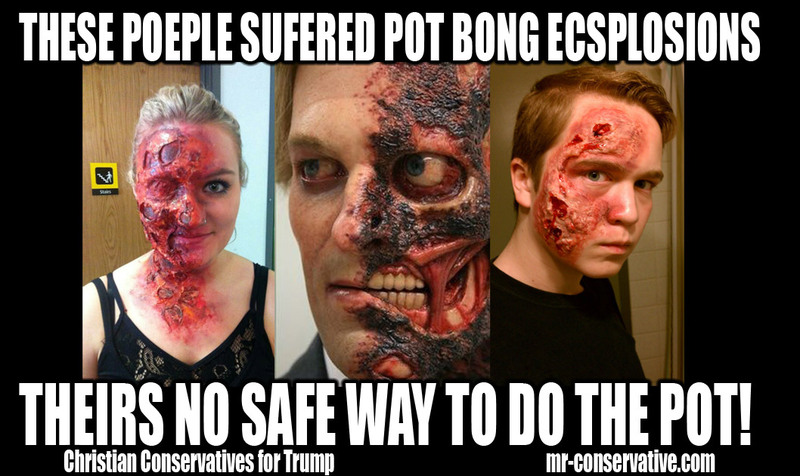 ARE PRESEDENT DONALD J TRUMP WILL STOP THIS BY INFORCEING FEDRAL POT LAWS!! WE ALL NOW THAT THE POT IS DANGROUS AS IT IS BUT ONE THING MANY POEPLE DONT NOT THINK ABOUT IS BONGING BECUASE WHEN THE POT ATTICTS ARE BONGING THE POT BONG CAN ECSPLODE RIGHT IN THERE FACES AND THATS VERY DANGROUS TO!! THEIR REALLY IS NO SAFE WAY TO DO THE POT! ******UPDATE: THE FACE BOOKS SENSORED THE PHOTO ON MY POST THEIR!!! THE DONT NOT WANT THE TRUTH TO GET OUT ABOUT HOW DANGROUS POT BONGING IS!!! SMH!! !